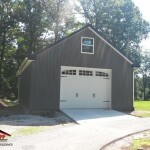 8 Pitch Attic Trusses – 12’W x 36’L x 5’H Approx. Room Size. 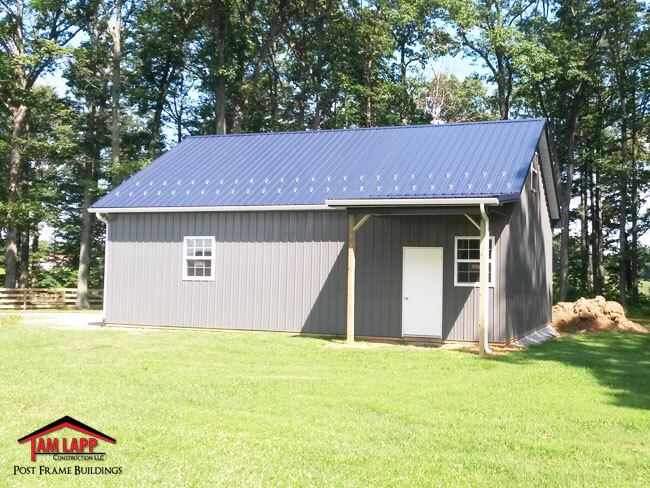 OPEN LEAN-TO SIZE: Width: 6′ x Length: 10′ x Height: 9′ Attached to 36′ Roofline – 4’x6′ PT Posts w/ 2×6 Treated Y- Bracing. 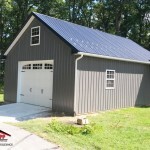 Roofing & Siding: Metal Roofing and Siding. 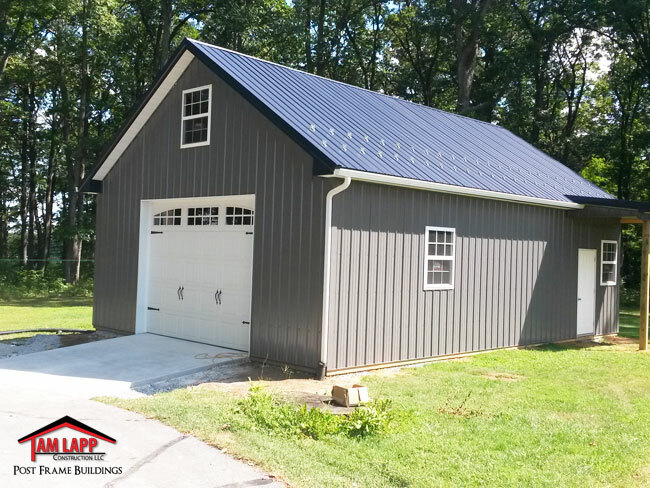 Roof Overhangs: Overhang boxed-in w/ white vented soffit w/ steel fascia trim: 12″ Sidewalls, 12” Gable Ends. 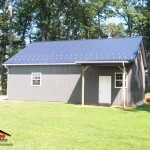 Windows: (4) 36″x44″ Insulated w/grids & screen. 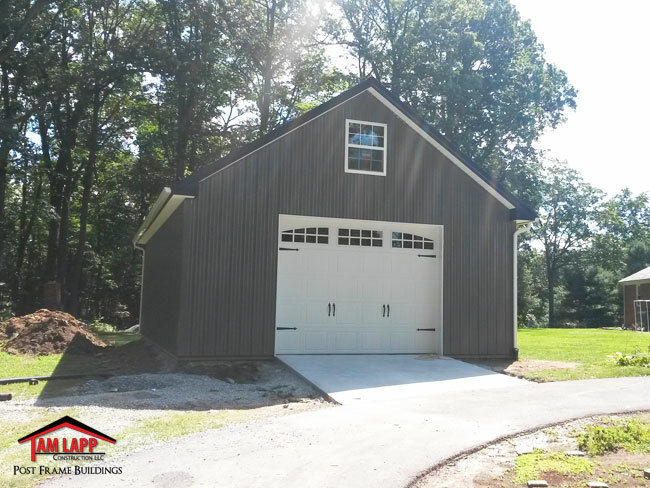 Clopay Garage Doors: (1) 12’Wx9’H White Carriage Style. 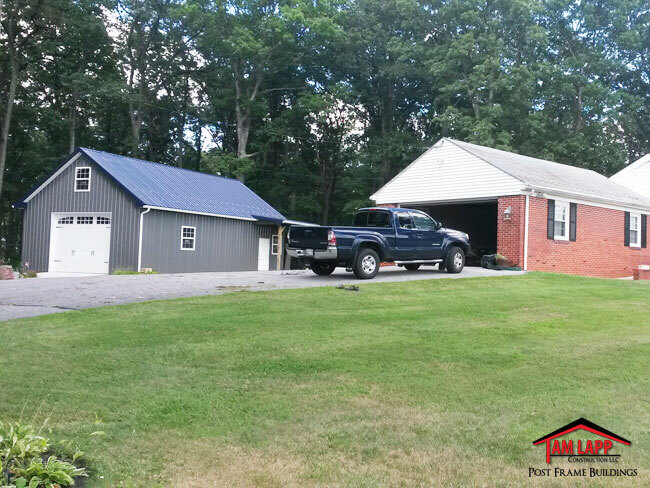 Floor: 24’x36’x4″ & 12’x12’x4″ Smooth Finish (Machine Trowel) Concrete Floor w/Fiber-Mesh; Control Joints & 4″ stone base Included. 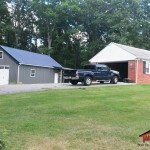 Colors: Dark Blue Roof, Charcoal Siding, Dark Blue Fascia Trim. It really has been a pleasure Tam !